All that we desire to know about our world can be defined as the result of creation and His Providence, or as scientists refer to it, as “the laws of nature.” Humankind in its inventions attempts to replicate some details of the creation and utilize its knowledge of the laws of nature. That is, it tries to replicate the actions of the Creator on a lower level and with baser materials. The depth of humankind’s understanding of nature is limited, though the boundary is gradually expanding. Still, to this day, one’s body is equated with one’s material body. But such a perspective does not differentiate between people, since the individuality of each person is determined by one’s spiritual strengths and qualities, rather than by the forms of one’s body. Thus, it can be said that all bodies, irrespective of their multitude, form only one body from the perspective of the creation, since there is no individual difference between them to differentiate one from the other. From this perspective, in order to understand others and the entire world around us, and to understand how to relate to what is outside our own bodies, it is enough for us to look within and to understand the self. In fact, this is how we behave, since we were created to grasp that which enters us from the outside, that is, to react to outside forces. Thus, if we do not differ from others spiritually, and all our actions are standard and within the framework of the various animal qualities of our material bodies, then it is as if we do not exist at all. 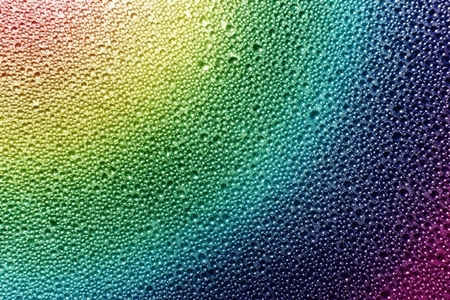 Without a distinct spiritual individuality, it is as if we were part of one common body that represents all our bodies. In other words, the only way that we can differ from another is by our souls. Therefore, if we do not possess a soul, we cannot be said to exist individually. The more spiritual differences we possess, the more important we are, but if these differences do not exist, then we do not exist either. But as soon as the first small spiritual distinction is formed within us, that moment, that spiritual state is called our birth, because for the first time something individual appeared in us, something that differentiates us from everyone else. Thus, the birth of individuality occurs through our individual spiritual separation from the general mass. Like a grain that has been planted, two conflicting processes occur in sequence: the process of decay and the process of growth. There is a complete liberation from the previous form. However, until it is repudiated completely, until one’s physical form is shed, one cannot change from a physical body to a spiritual force. Until all these states are passed (called “the procreation of the fruit from above to below”) the first spiritual force from below to above cannot be born within us, proceed to grow, and reach the level and form of the One who begat us. Similar processes occur in inorganic, vegetative, animal and human natures, though they assume different forms. Kabbalah defines “spiritual birth” as the first manifestation within the individual of the lowest quality of the lowest spiritual world—the passage of the individual outside the boundaries of “our” world onto the first and the lowest spiritual levels. But unlike a newborn in this world, a spiritual newborn does not die but continuously develops. A person can begin to comprehend himself only from the moment of self-awareness, but never earlier. For example, we do not remember ourselves in our former states, such as the moment of conception, the moment of birth, or even earlier states. We can only grasp our development, but we cannot grasp our previous forms. However, Kabbalah describes all the preceding states of creation, beginning from the state of the existence of only the Creator, to His creation of a general soul—a spiritual being. It then follows the gradual descent of the spiritual worlds from the highest to the lowest level, to the last state of the lowest spiritual realm. Kabbalah does not describe all the following stages (how an individual of our world apprehends the lowest level of the spiritual realm, and then one’s further ascent from the bottom to the top, to one’s ultimate goal—the return to the original point of creation). This is because the ascent follows the same laws and levels as the descent of the soul, and everyone who seeks to understand must independently experience every stage of spiritual birth, up to the final spiritual level of completion. But all souls, having reached, at the end of their growth, the absolutely corrected state of their original qualities, will return to the Creator and merge with Him into an absolutely indivisible state because of their complete similarity. 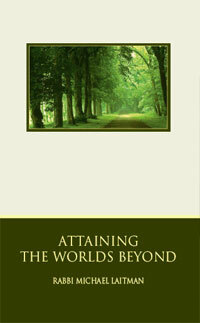 “Changing One Existence to Another” is based on the book, Attaining the Worlds Beyond by Dr. Michael Laitman.